Moving into a new home and finding out that you have hard water is never something that you want to have to experience. Unfortunately, this happens to a lot of people like me and you. The good news is that you do not have to live like that, with hard water that leaves your clothes dingy, your dishes spotted and your showers covered in limescale buildup. There are lot of great water softeners on the market that can give your family the soft water that they deserve, and one of the top brands on the market right now is North Star. They’ve been making these devices for a quite a while now and have managed to build up a pretty great reputation. 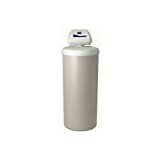 Keep reading for my Northstar water softener reviews to see if this might be a good choice for your home’s hard water. As you can see, North Star doesn’t make a lot of models right now, but those that are available for you to purchase are great choices for your home. Overall, they produce high quality whole home water softener systems that are very effective at converting your hard water into soft water. Now, let me share what I like about their top two models. The NorthStar NSC40UD1 gives you a reduction in pressure loss and better water flow, like all the models in North Star’s premier water softener series. This unit has a capacity of 39,000 grains, which is a decent amount for the home. If you’re concerned about efficiency, then you will like that this model lets you select either a normal efficiency mode or a high efficiency mode. And thanks to the “Look Ahead” technology patented by North Star, you know that you’re getting peak performance since it identifies behavior and can predict your family’s usage for maximum efficiency. Installation and setup for the NorthStar NSC40UD1 is quick and easy. All you have to do for setting it up is select the hardness and set the time – and that’s it! The unit features a backlit LCD display that shows you the regeneration time, the hardness, the time, the percent remaining capacity, the average daily usage, the total daily usage and the current flow. If you have a smaller household, then consider the North Star MSC30UD model instead of the NSC40UD1 above. This water softener has a grain capacity of 30,200, which is why it is the better choice for smaller homes. Like the larger model above, this is one is a good choice for efficiency because it also lets you select either a normal efficiency mode or a high efficiency mode. And thanks to the “Look Ahead” technology patented by North Star, you know that you’re getting peak performance since it identifies behavior and can predict your family’s usage for maximum efficiency. It also has a ultra demand valve system to maximize efficiency. Setup and installation is a breeze. The unit features a backlit LCD display that shows you the regeneration time, the hardness, the time, the percent remaining capacity, the average daily usage, the total daily usage and the current flow. The unit does require 24V electricity in order to run, but don’t worry about it in a power failure. Not only will it retain all the data in the digital display, but it will also stay on for 72 hours. When you’re busy stressing about the hard water problem in your home, it can be difficult to decide which brand of water softener is the best solution to the water issues that you’re experiencing. While there is no one best brand or model, you can rest easy when you put a NorthStar water softener in your home. They are consistently one of the top-rated brands on the market and though they don’t make very many models of water softeners, those that are available to purchase have a reputation of working very well and being high quality systems. The “Look Ahead” technology, which is patented by North Star. This technology works by predicting the water usage behavior of your family so that the unit works to maximize efficiency and keep your water costs down. This is a great eco-friendly feature. The units allow you to set the softening level, which gives you the ultimate control over the feel, taste and makeup of your household’s water. No other brand gives you this amount of control over your water. The units let you run diagnostic reports at any time. You can see things like how many regeneration cycles have run, if the unit is experiencing any problems and how many days the unit has been in service at your home. The units allow you to select the efficiency level to meet your family’s needs. For instance, if you are having relatives or other people staying in the home, you can increase the efficiency level in order for the unit to better handle the increase in water usage. Then, just reset it back to the normal setting when things are back to normal in the household. Again, this is an amazing amount of control that you get with North Star water softeners. The bottom line is that these are great units that will treat your family well. And if you have looked around online, then you already know that current owners of these systems have only good things to say about them. If you add one of these units to your home, then your family will be able to enjoy soft water with minimal effort when it comes to setup and installation of these North Star units.